2018 was an excellent year for gaming, and few systems performed as nicely as the Nintendo Switch. There were a handful of excellent releases on the Nintendo 3DS as well, but as that system nears the end of its life, releases become few and far between. Luckily, there was plenty of great games to keep us occupied on the Switch! 2018 was a year full of great sequels, fresh remakes, and surprising indies. Fans of every genre and style got something great, whether it be a great Nintendo eShop title or a retail release. There were many games to choose from, so we’ve sat down and compiled a list of our favorite Nintendo games from 2018. This list covers both the Nintendo Switch and 3DS, so don’t worry about feeling left out. Almost every major franchise got some sort of update this year, and most of them were quite good. 2019 will hold even more great gaming software, but for now, let’s pick our favorite Nintendo games of 2018! Unfortunately, I missed Donkey Kong Country: Tropical Freeze when it originally launched on the Wii U. Thankfully, Nintendo offered us a remaster with some new content when they released the game on the Nintendo Switch this year. If you played Tropical Freeze before now, there’s not too much in terms of new content. However, for new players like me, this was an absolute blast to play. Tropical Freeze is simply one of the most colorful, entertaining, and challenging platformers I’ve ever played. It holds up with the all-time greats, and cements itself towards the top of the list in terms of Donkey Kong Country titles. This Nintendo Switch remaster added Funky Kong, a new playable character that lessens the game’s challenge. For instance, Funky is unaffected by spikes, jumps higher and glides further than anyone else, and has extra health. If you’re like me and you appreciate an Easy difficulty that shakes up traditional gameplay, you’ll definitely enjoy Funky Kong. If you missed out on it back on the Wii U, there’s no better time to check out Donkey Kong Country: Tropical Freeze! The Nintendo 3DS is still alive and kicking in 2018, with a handful of fun experiences. My favorite 3DS title of the year was WarioWare Gold, a new entry in the wacky mini-game franchise. This compilation gives players over 300 of the series’ best micro-games, all played in 5 second bursts. These micro-games will have you touching, twisting, and tapping your 3DS more than any game before! Between the various single player challenges, the solo adventure, and a handful of multiplayer modes, there’s more than enough to keep you playing. The WarioWare series has always been a favorite of mine, so to see all the best micro-games in one excellent compilation was an absolute treat. The Mario Party series has seen sequel after sequel with each new console generation. Super Mario Party is the Mario Party title to appear on the Nintendo Switch, and it sets the right impression. Accessible, entertaining, and packed with content, this is one of the best Mario Party games in years. The board game aspect has been compacted a bit, with smaller boards than before. Dozens of new mini-games take advantage of the Joycon’s dynamic motion sensors, and the rest are simple to understand and play. It’s one of the best games to bust out at a party, as it’s sure to spark up competition and excitement. 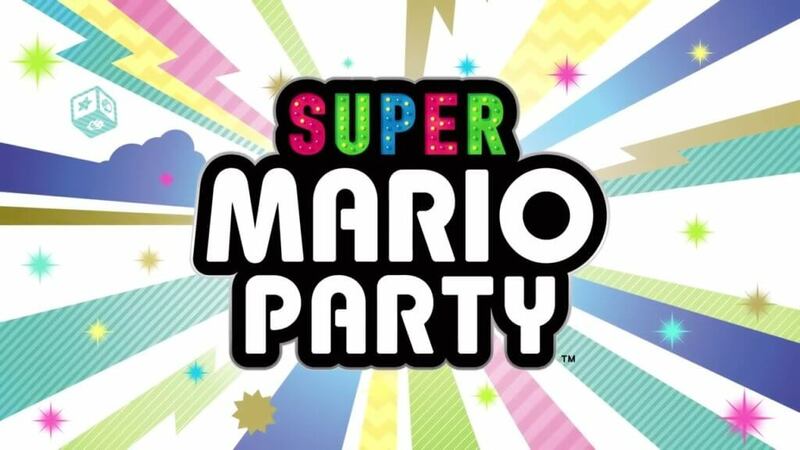 More importantly though, Super Mario Party brings the fundamental gameplay back to the series’ roots, only adding a few interesting game mechanics. For the most part, it’s a modern spin on the classic Mario Party you love, and a solid addition into your Switch library. Although Celeste is available on other gaming systems, its roots are firmly planted in Nintendo platformers of yesteryear. The story is simple; you play as Madeline, a young girl attempting to climb a dangerous mountain. By jumping and air dashing, you must navigate through treacherous and difficult stages, avoiding spikes and other hazards. There’s no combat in the game; you’re completely relying on your platforming skills. Luckily, Celeste has some of the tightest controls I’ve ever seen, and it feels absolutely magnificent to play. The level design is deceptively complex, allowing players to find their own paths even at the most seemingly linear points. The masterful stage design is made better by beautiful pixel art and an excellent use of color. Catchy tunes constantly fill your ears as you make progress, as the Celeste soundtrack is a masterpiece on its own. The game is very difficult, with my first completion of the game costing me over 1,000 lives. Despite the difficulty, you’ll find yourself constantly persisting, thanks to generous checkpoints and honest design. The experience can be frustrating, but it never feels cheap. Along the way, you’ll discover a touching tale about the perils of poor mental health and the benefits of seeking help. It’s an emotional journey that the player gets invested in, and one of the best platforming video games of all time. That makes it a perfect fit on the Nintendo Switch. The original Pokemon games on Game Boy are arguably two of the most iconic games of all time. Pokemon Red and Pokemon Blue ignited a worldwide phenomenon, with a wide cast of cute characters and addictive turn-based gameplay. Since the game’s original release, the Pokemon franchise has seen many ups and downs. The recent release of Pokemon GO has sparked another rush of fandom for the franchise, and Pokemon Let’s Go for the Nintendo Switch capitalizes on that expertly. On one hand, Pokemon Let’s Go is a remake of the original Pokemon games. On the other hand, it’s a fresh take on the series, with new catching mechanics and a far easier difficulty. At first blush, the concept might betray the franchise’s roots. However, Pokemon Let’s Go expertly weaves together nostalgia and welcoming game mechanics, revitalizing the original adventures in a unique way. Catching Pokemon is easier than before, you have a partner Pokemon who you bond with during the game, and the graphics have had a complete overhaul. For Pokemon veterans, it’s a familiar journey through the region of Kanto. However, there’s enough new content to please those fans, while still being welcoming enough for new players. Although it’s a remake, I enjoyed this game more than many other games this year, Nintendo or otherwise. 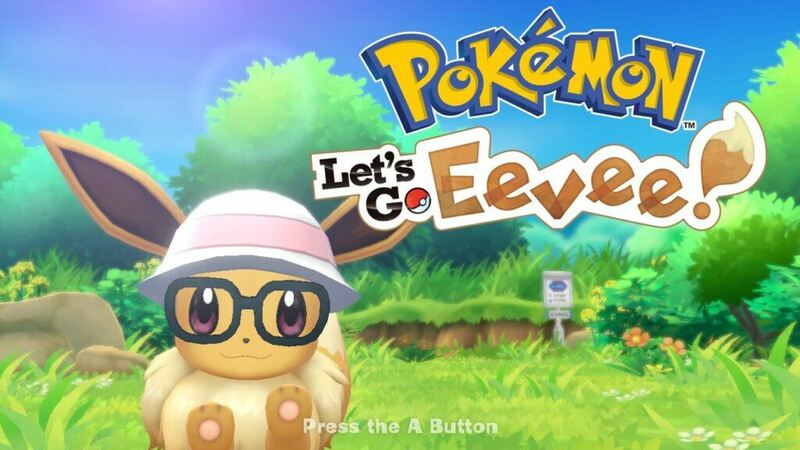 If you pick it up, I recommend Let’s Go: Eevee over Let’s Go: Pikachu, but that’s ultimately personal preference. I was really excited for Super Smash Bros. Ultimate, and it delivered on every promise it made. The roster contains every previous fighter in the franchise, as well as some new faces. Although there are a few powerful characters, most of them feel balanced and fair. You can battle on every stage you’ve seen in a Smash game, modifying them to suit your needs. There’s an incredibly lengthy singleplayer adventure mode, as well as numerous other ways to play. 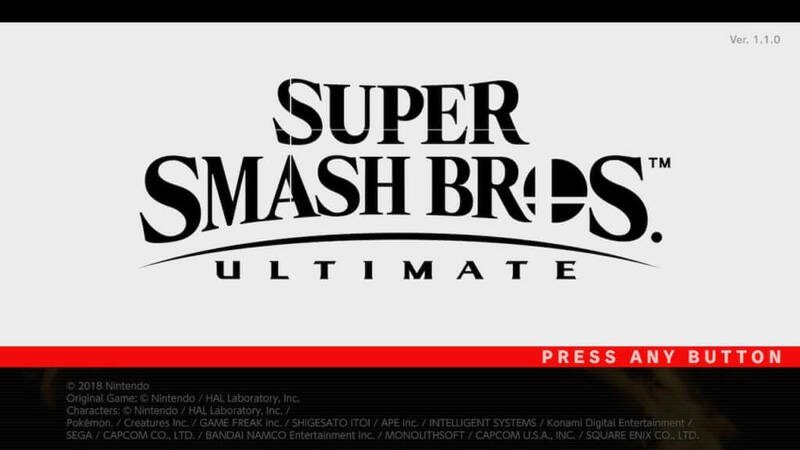 Classic Mode, All-Star Smash, Arena, and much more all awaits your choosing. The music selection is insanely huge, featuring numerous songs from every conceivable Nintendo series. The online works well (when it’s not lagging), and it’s endlessly fun to play multiplayer. In nearly every facet, Super Smash Bros. Ultimate exceeds expectations. Considering the level of hype surrounding this game, the fact that it didn’t disappoint is a near miracle. It was able to bring old fans back into the fold, keep modern fans happy, and manage to draw new fans in as well. The release of Super Smash Bros. Ultimate was truly an event, with nearly every Switch owner gearing up to play. If you owned a Nintendo Switch in 2018 and haven’t played Super Smash Bros. Ultimate, you’re doing yourself a great disservice. Even if you don’t like fighting games, the amount of mayhem and excitement is still worth checking out. At the very least, it’s a huge bang for your buck. At retail price, the game offers hundreds of hours of gameplay, disregarding the endless online replayability. This is a game we will be playing for years and years to come, and for good reason. When the Nintendo Switch’s online service launched this year, users were slightly disappointed by connection strength and consistency. Nintendo has always struggled on this front, but the disappointment was eased by the inclusion of several NES classics. Nintendo Online includes a free download of the virtual NES system, a streaming service that lets you play tons of Nintendo Entertainment System games on the fly. This includes classics like Super Mario Bros 3, The Legend of Zelda, Metroid, and more. The service is updated regularly as well, with new games being added monthly. There are also interesting “Special” versions of games, which offer players upgraded weaponry and max stats. If you’ve ever wanted to fight the final boss of Metroid with 100% completion, but don’t have time to play the game yourself, you can accomplish that with the Special version of Metroid. Overall, the NES online system is robust and entertaining enough to warrant the Nintendo Online subscription fee alone.